Ernst Krenek's Karl V op 73 at the Bayerisches Staatsoper, with Bo Skovhus, conducted by Erik Nielsen, in a performance that reveals the genius of Krenek's masterpiece. Contemporary with Schreker's Die Gezeichneten, Schoenberg's Moses und Aron, Berg's Lulu, and Hindemith's Mathis der Maler, Krenek's Karl V is a metaphysical drama, exploring psychological territory with the possibilities opened by new musical form. Its descendants include Dusapin,BeatFurrer and Ferneyhough. 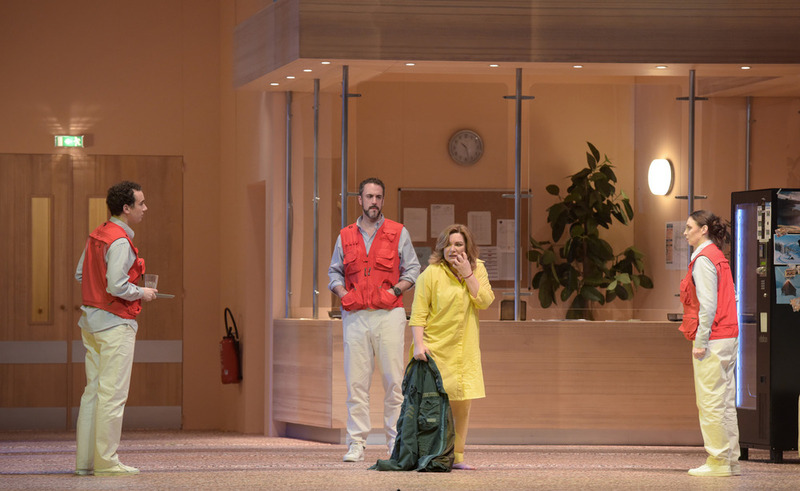 This opera and, indeed, most of Krenek's work before he left his roots, confronts the anguish of a world in chaos : the certainties of the Old Order replaced by unprecedented and often dangerous change. After the end of the First World War, Austria was no longer part of an Empire, and Austrians, like Krenek, had to reconsider their place in the world. Please also see my piece on Krenek's song cycle Reisebuch aus den österreichischen Alpen, where the composer assesses Lieder at a time when the Nazis were just coming to power. 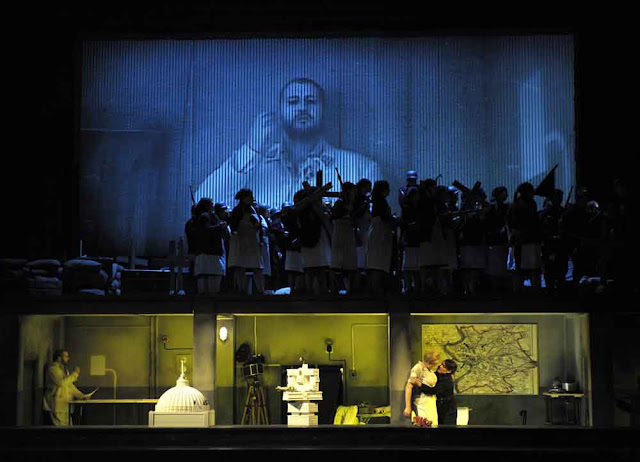 Krenek's opera isn't an examination of the past but a commentary on his own times, and is still prescient in our own. Krenek's Karl V is based on the last hours of the life of Charles V, Hapsburg King of Spain and the Americas, Holy Roman Emperor and conqueror of the Turks: the first multi -national world empire, which easily surpassed in scale the original Roman Empire. It prospered through war and political intrigued, fuelled by the brutal exploitation of other empires across the world. Yet., after a long and eventful reigh, Charles V has abdicated, of his own will, and retreated to the monastery San Jerónimo de Yuste. Yet he can find no peace. Instead, he faces the greatest challenge of his life : how will he face his conscience before God ? Krenek's Karl V isn't realistic narrative, but an ethical and philosophical exploration, with words and music. Structurally the opera operates on multiple levels and multiple dimensions, constantly moving back and forwards in time. Since Karl V predates Berg's Lulu by several years, Krenek could have invented opera as cinema. Certainly he, like Berg, was interested in modern art, modern ideas and the movies. Just as in film, orchestral music occurs mainly at critical junctures where voices are stilled, such as the beginning of the final act. Though Krenek uses dodecaphonic form, Karl V connects to devotional practice which would have been familiar to the devout. Krenek also employs Sprechstimme throughout to emphasize philosophic ideas. Singing, in the normal sense, would distract, and normal speech would be too mundane. Eventually your ears adjust and the Sprechstimme becomes effortlessly natural. In his sanctuary, Charles hears the voice of God himself, calling him to account. 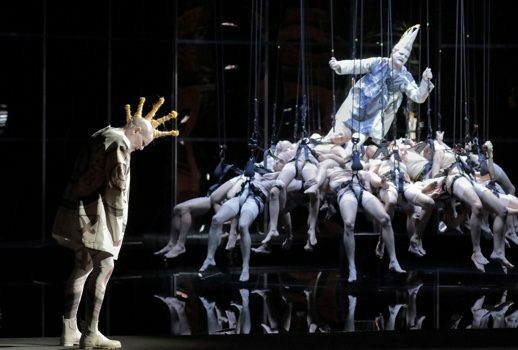 Thus Skovhus is costumed, in this Fura dels Baus productioned directed by Carlus Padrissa, costumes by Lita Cabellut, Skovhus is dressed not as a monarch but as a juggler whose cap has pointed horns on his head, like a crown seen askew. Before God, no mortal is mighty.Audiences who insist that Karl should be dressed as a king just won't get that, but that's their loss. In Krenek's libretto (which he wrote himself), images of Time and Destiny recur : thus the images of clocks, globes, glass (strong but breakable) that inform the staging. 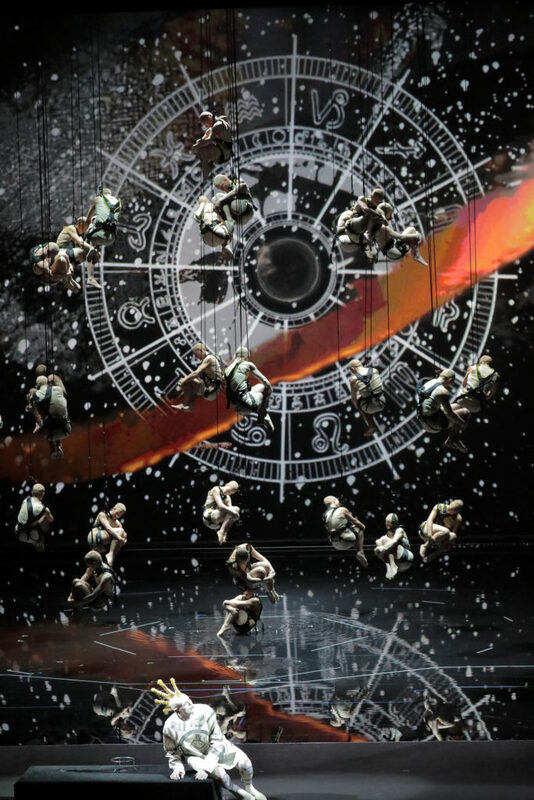 The opening sequence is astonishing - the acrobats and dancers that are La Fura dels Baus's forte, emerge from the darkness, moving, twisting and re-forming. There is purpose behind this, almost impossible to achieve with quite the panache we saw here. This represents Titian's painting The Last Judgement, which Charles V treasured. What could be more appropriate for Charles's own Judgement ? If some modern audiences don't like cultural or intellectual references, maybe Art is beyond them. Or God, for that matter. Significantly, Krenek mentions the painting in the libretto : it is the cohesive image that pulls everything together. With his confessor Juan de Rega (Janus Torp) beside him, he examines his conscience through a series of vignettes, symbolized by key figures in his past. His mother Juana (Okka von Dammerau) appears. Though Juana was Queen of Castile and Aragon, she became insane : so much for wealth and power. Charles relives an event where he's given an apple, within which there is a worm : an allegory if ever there was one. Charles re-encounters Martin Luther (Michael Krauss) who defied the Pope. The Reformation that followed was the beginning of the end for the Holy Roman Empire, and indeed of Hapsburg hegemony in the Netherlands and German-speaking countries. Yet Charles did not condemn. In the opera, he refuses to desecrate Luther’s tomb. Will this act of decency balance the damage ? Charles is surrounded by enemies : from within the Church, from France and from the Turks. His sister Elenore (Gun Brit-Barkmin) appears. He arranged a dynastic marriage for her with Francis I (Wolfgang Ablinger-Sperrhacke) of France, but it brought her sorrow, not happiness. It didn't bring peace, either. Francis made an alliance with Suleiman and the Turks against Austria. That, too, is on Charles's conscience, though Elenore later hints at another more secretive trauma : while in France, Charles had some kind ofvsexual encounter. Since Charles had been devoted to his wife Isabella (Anne Schwanewilms) and esteemed chastity, that sin might have weighed more heavily on Charles than on other men, like the less moral Francis. Charles responds tenderly to his vision of Isabella, but she's long dead, caged in a frame that suggests a skeleton. Pizarro ( Kevin Connors) returns with plunder from the Americas. Charles knows this gold was won by bloodshed. Could he have changed anything ? Another dilemma : wealth or guilt. Finally, Charles cracks and has a seizure and the First Part is brought to an abrupt end. In the Second Part, Charles lies in "The Vale of Tears", ie a coma, drifting ever further from reality. Now Krenek's orchestration proves its value, commenting without words. Mysteriously beautiful, searching sounds suggest that, while Charles V's body is in a comatose state, his soul is traversing the universe : the spirit of religious music in modern abstraction. All his life, Charles dedicated himself to the service of the Church but even that's imploding around him. What hope has Charles of beating the Turks when he can't count on fellow Catholics? Treachery and intrigue everywhere, Moritz of Saxony, Charles's protégé, betrays him by leading Protestant insurrection. Even on his deathbed, Charles is taunted by his supposed friend Francesco Borgia (Scott MacAllister). Only Eleanor offers mercy. Charles was vilified because few understood his motivations, which were ultimately altruistic. "I did not want to make the State a new tin God", he says, "True unity lies in a belief in the Eternal. Everything earthly is an elusive bond". Does Charles, with his ideas of unity and fairness, live in a bygone age ? 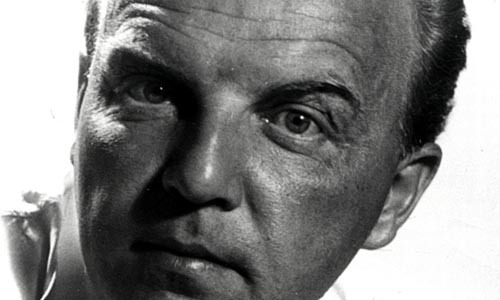 But Krenek also adds the phrase "or maybe he lives 400 years in the future". The German choruses chant "We don't want to be citizens of the world!" A Turkish astrologer sees a star disintegrate. "A good omen" chuckles the Sultan (Peter Lobert). "The people of Europe are free, and they will use this freedom to fight among themselves even more brutally." The Three Ghosts (and the Three Clocks) appear as Charles's mind starts to disintegrate. Has he faced his conscience? Would he have been in any position to change what happened ? Things might not have worked out but at least his intentions were good, and to that, he was true. Though this new production might seem controversial, it is a lot closer to Krenek than the Bregenz production conducted by Lothar Koenigs and directed by Uwe Eric Laufenberg production with Dietrich Henschel, available on DVD. Bo Skovhus is superb in the title role, expressing both the anguish and dignity in the role, carrying off the Sprechstimme with aplomb. The other roles are supportive, though critical. Anne Schawnenwilms will draw international audiences. But Okka Van Dammerung and Gun-Brit Barkmin are rising stars of their generation, well worth listening out for, both very impressive here. Wolfgang Albinger-Sperrhacke shows why he's one of the great character tenors of our time, creating a Francis at one neurotic and majestic.In these times a more apocalyptic approach is valid. Thank goodness Krenek isn't still alive to see the world fall apart all over again ! And la Fura dels Baus make Titian come alive in all his swirling baroque glory, laced with menace. Please read my other posts on Krenek, use the label below. Bernard Haitink conducting Beethoven Symphony no 9 with the Symphonieorchester des Bayerischen Rundfunks livestreamed from the Philharmonie im Gasteig on BR Klassik. Soloists Sally Matthews, Gerhild Romberger, Mark Padmore and Gerald Finley, with the Bayerischen Rundfunks Choir. Nuno Coelho conducted the opener Meeres Stille und Glückliche Fahrt, saving the highlight for Haitink. A highly emotional occasion most of us who experienced it will never forget. Listen again HERE for a limited period. An excellent, punchy performance, even though Haitink looked tired and frail. Which makes us appreciate him all the more! Don't miss the long farewell at the end. 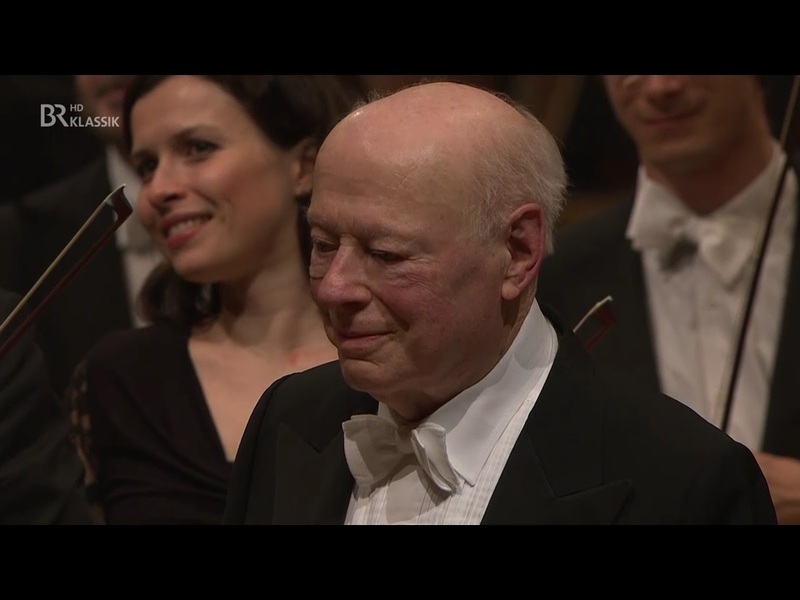 Tears run down Haitink's cheeks, though he turns away from the camera. Such humility, such sincerity, all in the service of the music he loves. That's exactly why we love him. Last month in Amsterdam, he did three concerts in a row - 24th, 25th and 26th Jan. Wisely a rest before he returns to the Barbican Hall in London to conduct the London Symphony Orchestra on March 10th with Mozart and Bruckner (which will be livestreamed) and Dvorak and Mahler on the 14th and 21st. On 18th, he'll repeat the LSO programme at the Philharmonie de Paris. 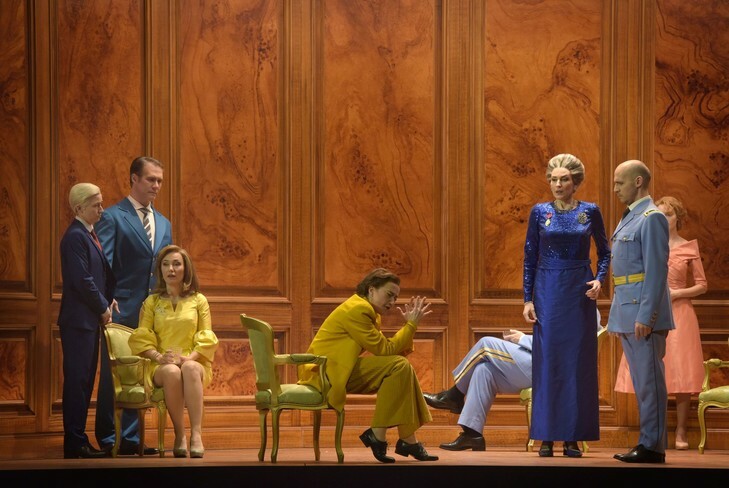 Livestream from The Bayerisches Staatsoper tomorrow at 6pm UK (7pm in Germany) Ernst Krenek's opera Karl V, (PLEASE SEE MY REVIEW HERE) which ostensibly deals with Charles V the Holy Roman Emperor but is anything but about the past. Below is what I wrote a few years back about the Uwe Eric Laufenbergproduction with Dietrich Henschel. Are we witnessing live 1933 the remake? Is history repeating itself? The premiere of Ernst Krenek's Karl V, scheduled for 1934, was overtaken by events. Now more than ever we must take heed of this opera and its horrifying prophecy. Krenek's Karl V Op 73 is based on the life of Charles V, Hapsburg King of Spain and the Americas, Holy Roman Emperor and conqueror of the Turks: the first multi -national world empire, which easily surpassed in scale the original Roman Empire. The grandest monarch in European history lies dying, preparing himself for judgement before God. Priests and bishops are praying, but the king turns to his youthful confessor, Juan de Regla, precisely because he's objective and hasn't yet been sucked into the morass of intrigue that curses the corridors of power. Karl V unfolds through a series of vignettes. Structurally the opera operates on multiple levels and multiple dimensions, constantly moving back and forwards in time. Since Karl V predates Berg's Lulu by several years, Krenek could have invented opera as cinema. Certainly he, like Berg, was interested in modern art, modern ideas and the movies. Just as in film, orchestral music occurs mainly at critical junctures where voices are stilled, such as the beginning of the final act. Mysteriously beautiful, searching sounds suggest that, while Charles V's body is in a comatose state, his soul is traversing the universe. Krenek also employs Sprechstimme throughout to emphasize philosophic ideas. Singing, in the normal sense, would distract, and normal speech would be too mundane. Eventually your ears adjust and the Sprechstimme becomes effortlessly natural. In Charles V's time, Protestantism challenged Catholic Europe. Unlike earlier schismistic movements, it took root and morphed into politics, partly because Charles V allowed a level ,of religious toleration, but the genie of nationalism was let out f the bottle. Eventually Charles V's mercenary German armies attack Rome, calling the Pope the Anti Christ. Meanwhile the Conquistadors were annihilating the Incas. Charles V knows that the gold Pizarro brings back is tainted with blood. Yet another battle between empires raged in the Mediterranean and Africa. Charles V visualized a Christian Europe strong enough to repel Islam, which, as he knew, had once occupied Spain. But is Charles V cursed? Four Spirits appear in his dreams, the first the Curse of the Pope. The second represents the indifference of the French Court. Charles imprisons Francis, the King of France, with whom Charles's own sister Eleanor falls in love. Seeking peace, Charles sets Francis free to return to Paris with Eleanor as Queen. The third fury represents German nationalism, an issue that greatly vexed Krenek himself, who understood the danger that Nazism would bring as early as the mid 1920's. Just as in Krenek's Jonny speilt auf, there's a black man in Charles V, a deliberate taunt at the Nazis. The fourth spirit connects to the king's personal life. Please see my articles on Krenek's Reisebuch aus den österreichischen Alpen HERE and HERE. Charles was vilified because few understood his motivations, which were ultimately altruistic. "I did not want to make the State a new tin God", he says, . "True unity lies in a belief in the Eternal. Everything earthly is an elusive bond". Moritz of Saxony sneers that the King lives in a bygone age. But Krenek also adds the phrase "or maybe he lives 400 years in the future". The German choruses chant "We don't want to be citizens of the world!" Wearied and sick at heart, Charles V abdicates and retreats to a monastery. An Emperor choosing to live like a monk (albeit one with Titian as wallpaper). Charles V's core values were not those of the petty, selfish world around him. A Turkish astrologer sees a star disintegrate. "A good omen" chuckles the Sultan. "The people of Europe are free, and they will use this freedom to fight among themselves even more brutally." The dying Charles holds a crystal globe in one hand and a crucifix in the other. He had not dreamed of peace for his own sake, but in the name of God. "But an impulse from within has corroded the globe with venom." Ádám Fischer and the Vienna Philharmonic Orchestra in Mahler Symphony no 9 in the Barbican Hall. A gala occasion ! Unmissable, even though the Vienna Philharmonic comes to London nearly every year. Their sound is unique - playing so burnished that you want to weep with sheer joy. Live performance is infinitely more of an experience than listening to recordings. Live you can sense the interaction between players as the performance unfolds, and pick upon intangibles that enhance your engagement with what's evolving before your ears. Musicianship is a lot more than technical sound quality! The Vienna Philharmonic are a good Mahler orchestra and their playing can, and has, added depth and richness to this symphony before, many times. Ádám Fischer's a good Mahler conductor too. So what was missing ? "The very first bars of Mahler’s Ninth seem to falter", read the Barbican publicity blurb. Oddly prophetic. The Andante is comodo, a comfortable pace, but here "comfort" overtook pace. Perhaps someone had taken the rest of the Barbican blurb too literally, which continued "The stricken composer put the rhythm of his failing heart into the orchestra – and began his Ninth Symphony with a sigh of farewell". The idea of Mahler’s 9th as a symphony obsessed with death may have been fashionable for a while in the 1960's and 70's but it simply does not sit with the composer's output as a whole. Nearly everything Mahler wrote dealt with the annihilation of the creative spirit, for which death is an obvious symbol. But in nearly ever case, he defeats death by creative transformation. Consider Das Lied von der Erde: "Allüberall und Ewig/Blauen licht die Fernen!Ewig... ewig.....". Professor Henry Louis de La Grange's lifetime contribution to Mahler studies demonstrates that there was a lot more to Mahler than maudlin neurosis : that clarity of vision and intelligence made him the artist he was. And now we have what remains of what would have been Mahler's Tenth Symphony, the once fashionable approach to the Ninth cannot be sustained. But back to Fischer and the Vienna Philharmonic. The first movement seemed to meander, without the sense of purposeful direction that so often underpins Mahler's music : consider how often his symphonies incorporate marches oif some form or other. Here the first and final movements form pillars holding up the structure of the symphony. That sense of overall architecure is the foundation of the symphony. 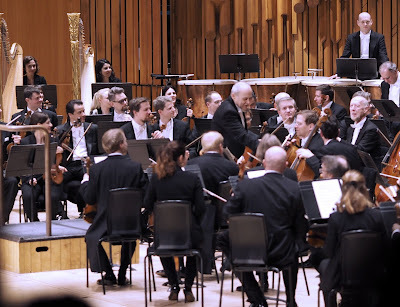 Fortunately, though, the sheer virtuosity of the players in the Vienna Philharmonic was of such exceptional character that one could marvel at the playing, its elegance and warmth offsetting all else. This does make a diffrence. Any symphony is built on smaller component units where the particular combination of instruments sharpens focus. We can listen to this symphony any time, but not often with such sheer beauty and poise. Every desk seemed to contribute : the communality of ensemble made this performance seem like chamber ensemble writ large. Every desk had something to contribute - exceptional prinicpal flute, wonderful "soloists" all round. It's not often that the piccolo player can be heard as a star turn ! The second movement Im Tempo eines gemächlichen Ländlers was better articulated overall. Here the players of the Vienna Philharmonic showed theiur understanding of the idiom. For all their finesse, they understood why dance "is" vigour, energy channeled into purposeful co-operation. Mahler 9 as ballet, in the sense of short, well-executed episodes which fit together to form a coherent whole. Waltz is Ländler in more sophisticated form. Thus the Rondo-Burleske cut through the bonhomie like a scythe. "Death" here suggesting frost before harvest. The brass attacked with a chill, the strings flying, with well defined vividness. The performance ignited, for a while, but the Adagio could have had a stronger sense of purpose. Wonderful strings, vibrating with feeling, but not hyper-ventilating : if the movement depicts a living organism its breathing should be steady. I loved the low timbred winds and brass against the ascending string line. This final movement can dissipate into ever more refined, more transparent, until audible sound becomes one with eternity. The Vienna Phil has the ability to create such miracles better than most. Perhaps not so this time where it proceeded without the inspiration that can make this symphony feel like a powerful force of life. So this didn't quite have the architecture this symphony needs, but with playing as exquisite as this, it hardly mattered ! It's hard to take the BBC Music Magazine Awards nominations seriously. Out of "nearly 200" discs chosen, three in each category. But how can anyone really compare Adam Fischer's Mahler 1 with Currentzis's Tchaikovsky 6 or Peter Oundjian's John Adams ? Or Opera Rara's Semiramide with the Early Opera Company's Acis and Galatea with John Adams Dr Atomic ? There is, however, no obvious bias for the choices in the Vocal Category, but art song isn't populist, so goodness knows what the logic is. Mirages : Sabine Devielhe with Alexandre Tharaud and Les Siècles conducted by François-Xavier Roth - French Orientalism - selections from the Belle Epoch and Maurice Delage's Quatre Poėmes hindous. 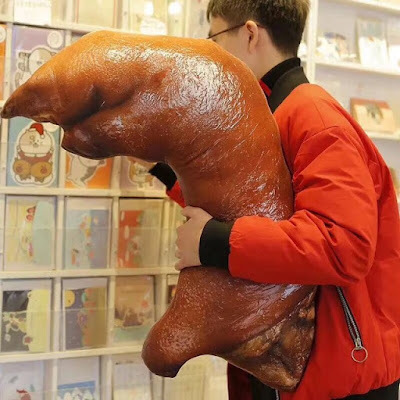 Please see my review HERE. How do you choose between these three ? Mirages is a good debut album, and Boesch's Schumann and Mahler an essential addition to the discography. But Dégout's Enfer is more than great performance. Conceptually, it's in a whole new world (pun intended) and shakes up preconceptions about period performance. This one's in a league of its own. Deserves an award in its own category ! Berlioz : La Damnation de Faust - François-Xavier Roth nous propose sa vision de "La Damnation de Faust" avec les forces de son orchestre Les Siècles. From L'Opea de Versailles. Condensed but intense HIGHLY RECOMMENDED Very good soloists - Mathias Vidal, Anna Caterina Antonacci, Nicolas Courjal. Though it's too early to tell, this might be one of the highlights of this Berlioz anniversary year. Berlioz : L'Enfance du Christ, Andrew Davis, BBC NOW HERE. This coincides with the release of Davis's recording of the piece with the Melbourne Symphony Orchestra, which I haven't yet heard, but the combination of BBC NOW, the National Chorus of Wales and these soloists (Sarah Connolly, Andrew Staples (divine), Roderick Williams) would be pretty hard to top. Mahler : Symphony no 8 - Gergiev, Munich Philharmonic, Philharmonie de Paris Gergiev's unpredictable, and his Mahler often disappoints tho' his recent Mahler 4 and Das Lied von der Erde were surprisingly good. Any Mahler 8 is worth hearing. This one thankfully wasn't over the top and hysterical. It was good enough, and better than quite a lot. Luckily I didn't get to hear him do it in St Paul's Cathedral ten years ago where my friends said the naves sucked the life out of it . Edvard Grieg's Peer Gynt a choral blockbuster ? 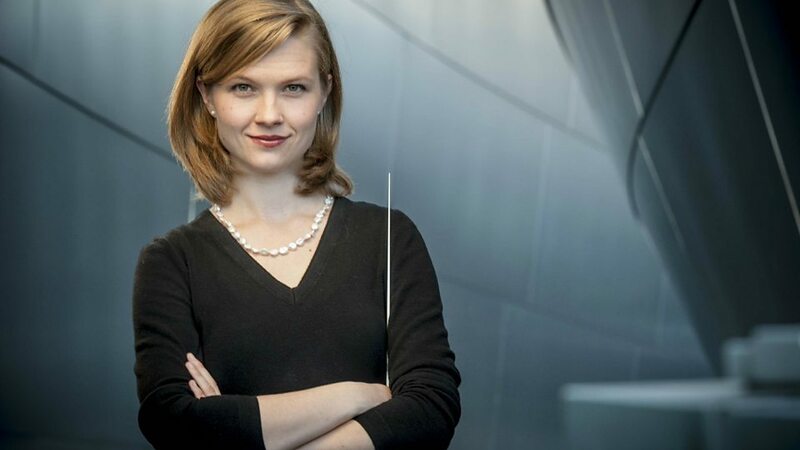 Mirga Gražinytė-Tyla conducted Grieg's full incidental music to Ibsen's play with the City of Birmingham Symphony Orchestra, showing how the choral sections make a difference to the way the drama is received. Peer Gynt is so well-known through extracts that the original context is lost. Not a fjord in sight, except in a metaphorical sense. Peer Gynt isn't a hero. Ibsen's original as a Leseopera, an opera to be read and meditated upon, not "just" entertainment. He satirized aspects of Norwegian mentality in the period when the country was a colony of Denmark. Peer's adventures are fraught with danger, supernatural as well as physical, The innate tension between moments of beauty and wildness creates a dynamic which is fundamental to interpretation. Gražinytė-Tyla's approach brought out the power that lies beneath the surface : a vivid reading, bristling with energy. Not for nothing does Grieg's wedding procession end with ferocious chords. Peer disrupts proceedings and gets kicked out for fighting. Thus the first chorus with its almost primitive savagery : the subconscious being released. Congratulations to the CBSO chorus (chorus master Julian Wilkins) showing their metttle. Indeed, this whole programme focusssed on choral music though no doubt the media will think in more simplistic nationalist terms. Thius does matter, since Gražinytė-Tyla has a choral background and is in an ideal position to build on CBSO's reputation for choral music of all kinds. Having established the drama, Gražinytė-Tyla could focus on the interplay between expansive lyricism and more unusual forms, from the "barbarism" of the Hall of the Troll King to the exoticism of the Arabian dances. In the Abduction of the Bride, the chorus led into Ingrid's Lament with soloist Klara Ek, and the Death of Åse prepared the way for Solveig's Song : both expressions of love and loss. In Peer's Homecoming, the CBSO played with strong definition so the obvious imagery (a ship on the sea) seemed enhanced by forces beyond Nature. The Whitsun hymn, sung right afterwards, indicates that this conflation of inner and outer worlds is no accident, but central to meaning. 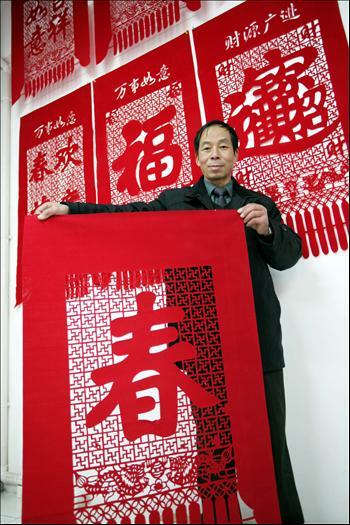 Peer lives in the world of the imagination, feckless until he comes to appreciate true values. Thus the finale, when Klara Ek, the soloist, the chorus and orchestra come together in glorious balance. The programme began with neither conductor nor orchestra but with the City of Birmingham Youth Chorus in Esa-Pekka Salonen's Dona Nobis Pacem (2010) a five minute a capella miniature. Salonen plays with chords and textures, the three words of the text repeated in undulating cadence, the last notes held until they dissolve in silence. Because it's so minimal, careful modulation like this is of the essence. The freshness of these young voices connected well to Einojuhani Rautavaara's Cantus Arcticus: Concerto for Birds and Orchestra, where recorded bird song replaces chorus. The orchestra reacts and responds, gradually coming into its own : long, searching lines, suggesting distance, flutes singing together as if they were birds. A cello sings, its melody enhanced by the cries of birds. For a moment, the orchestra falls silent, "listening" to birdsong before embarking on long, surging lines that expand, flutes in full flight, low voiced winds adding depth, until the music disappears beyond audibility. These two pieces combine extremely well. In both cases the performers must be listeners, sensitive to the subtlest nuance. Back to more conventionally choral chorus with Jean Sibelius's Rakastava (The Lover), op 14 (1912). More thoughtful programming from Gražinytė-Tyla, the minimal accompaniment reflecting the delicacy in Salonen and Rautavaara. The men's voices dominate at first - the cycle was originally scored for unaccompanied male voice - but the women's voices enter with brighter, brisker figures until both reach parity. Yet again the value of sensitive singing, hushed but precise. Sibelius En Saga op 9 (1892) was also played well, (great solo moments ! ), Gražinytė-Tyla conducting with the clarity that brings out structure and detail. Nefoedd (Heaven) - a collection of Welsh songs with Sioned Terry and Brian Ellsbury from Tŷ Cerdd. Twentieth century Welsh song is undergoing a surge of interest, which should come as no suprise, after Tŷ Cerdd's groundbreaking Morfydd Owen : Portrait of a Lost Icon, (please read more here). Those new to the repertoire will also find much to delight in. The first songs in this collection form a miniature cycle. Y Gog Lwdlas (The Grey Cuckoo) is a traditional Welsh text arranged by Mervyn Roberts (1906-1990), setting the context for My Welsh Home by W S Gwynn Williams (1896-1978), a ballad of a hill farm, the rustic mood extended by Williams's I Hear a Shepherd's Pibgorn, this time set as a lively jig. This set is held together by another traditional song Y Deryn Du (The Black Bird) in a particularly lovely arrangement by Dilys Elwyn-Edwards (1918-2012). Two songs in Welsh, evoking the purity of unspoiled Nature, glorying in the beauty of this unique language, framing two songs in English. Germans would use the term "Sensucht" : I don't know what the Welsh equivalent might be, but these songs capture that sense of of idealized longing, more elevated than mere nostalgia. Three songs by Joseph Parry (1841-1903) show how Welsh song could be adapted to mainstream European tradition. Parry started life as a coal miner, emigrated to America, and ended up Professor of Music at Aberystwyth and Cardiff. He wrote Blodwen, the first opera in Welsh. These songs,Gwraig Y Morwr (The Sailor’s Wife), Lady Maelor’s Aria - The Valiant Sir Howell, and My Wife, are ballads, similar to the parlour songs of Victorian times, and would have been enjoyed by Welsh speaking performers and audiences. Ivor Novello (1893-1951) studied at Oxford, but found fame and fortune in music theatre and popular song. His The Land of Might-Have-Been (1924) may be included here because it bears a decided resemblance to Morfydd Owen's The Land of Hush-a-Bye (which can be heard on the Tŷ Cerdd recording Morfydd Owen : Portrait of a Lost Icon). Owen and Novello had several London connections in common, so it is possible that Novello had at some stage heard Owen's song, which, to my mind at least, is far stronger. Thomas Osborne Roberts (1879-1948) represents yet another strand in Welsh tradition. An organist, and participant at Eisteddfordau, through his first wife, an opera singer, he moved in wide circles, and was respected by Vaughan Williams and Bantock. He wrote hymns like Y Nefoedd (The Heavens) and songs like Min y Mor (By the Sea) where the piano part ripples and the voice part rolls like gentle waves. The highlights of this collection are the four songs by Meirion Williams (1901-1976) which prove that Welsh song can reach the heights of sophisticated art song. In Pan Ddaw'r Nos (When the Night Comes), the voice and piano parts interact with great delicacy, creating a languidly sensual nocturne, despite the religious undertones of the poem. Y Blodau ger y Drws (The blossoms by my door) lilts sensuously and Yr Hwyr (The Evening) is restrained, the piano underlining the vocal line to great effect. In Gwynfdd (Paradise) to a poem Crwys by William Williams (1875-1968) , the voice part is almost ecstatic, caressing the distinctive sounds of the Welsh language. The "blessed realm of Paradise", lies not in far off lands, but "within my heart for e'er to keep, like roses fair before mine eyes". 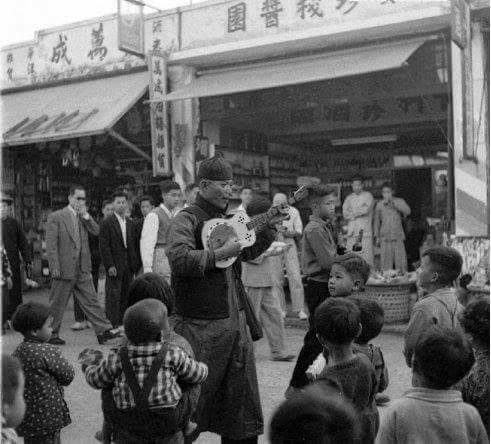 That's not a guitar, but a type of Chinese ukulele - itinerant street musician, 1950's.The other urious thingabout this photo is that the guy is wearing a silk gown and cap, like a gentleman, whereas travelling musicians wore simple working man clothing. No wonder the crowd freak out - usually they took street singers for granted. So we have a puzzle in a picture. 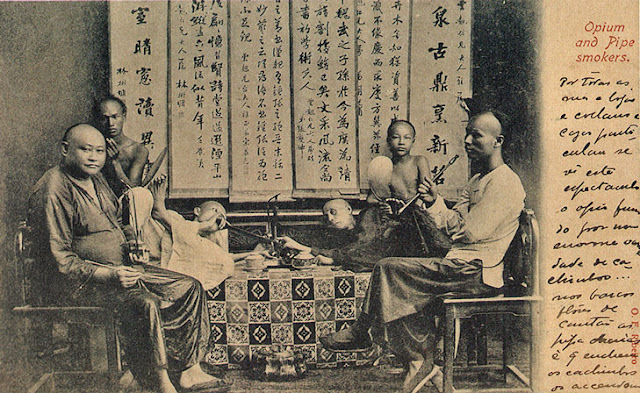 In the 1920's, the US and Canada passed las to exclude Chinese settlement, and in Hispanic America Chinese people weredepirted wholesale,even if they'd settled many generations and were part Hispanic. Unless we learm from history, we repeat it. Whoever this man is and why he's dressed up effectively in a costume, we will never know, but we need to think why he was doing this. 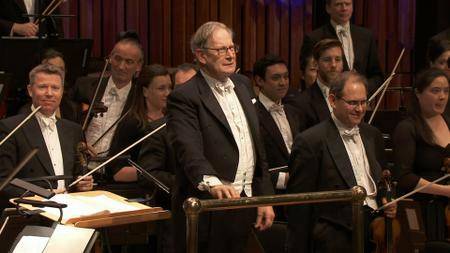 John Eliot Gardiner conducted the London Symphony Orchestra in the third concert of their Schumann series at the Barbican Hall, London. A coherent programme - Carl Maria von Weber Overture to Euryanthe, Mendelssohn Concerto for violin and piano (Isabelle Faust and Kristian Bezuidenhout) building up to Schumann Symphony no 3 (The "Rhenish"). This is what "historically informed performance " means: understanding music as music, in context and on its own terms. Respecting the composer as far as possible, not smothering him with a fire blanket of audience expectations. Nothing wrong with expectations formed in the 1950's and 60's for something to put on the brand new turntable. But there's so much more to music than that. Gardiner shows how fresh and vital Weber, Mendelsssohn and Schumann can sound, nearly 200 years after they were "new". Weber's Overture to Euryanthe began with vivid attack. The early Romantics were fearless, exploring audacious new ideas. There's nothing timid about the opera Euryanthe. Indeed its bizarre plot makes it almost impossible to stage (fire-breathing dragons, long before Wagner). All the more reason we must appreciate the technical limitations with which Weber created the drama. Natural horns : reminding us of a time when people hunted in order to eat, where Nature represented danger. That the strings have to try harder is the whole point ! The solo violin melody reminds us how vulnerable mortals are against the unknown, yet bravely they persist. That also justifies the practice of getting the musicians to stand while playing. It's not novelty. The sound is subtler and more human. Modern audiences need to get over being conditioned to very late performance practice and much larger forces and respect what went into the music in the first place. Conductors stand throughout a performance, and if Gardiner, who is 75, can do it, most players can. The greater freedom of movement comes through in greater freedom of expression, and greater engagement between members of the ensemble, who seem to listen to each other more than they might do otherwise. That aesthetic of chamber communality also informs Mendelssohn 's Double Concerto for Piano, Violin, and Strings in D minor, MWV O4 (1823), where the LSO were joined by Isabelle Faust and Kristian Bezuidenhout. Mendelssohn was just fourteen when he wrote this, but its restraint connects to his background and to the influence of his grand-aunt Sarah Levy, a musician whose recitals championed the music of Bach. Bezuidenhout played a pianoforte from 1837 by Sébastien Érard, with leather hammers covered in felt. "There is a textural topography to these instruments" said Bezuidenhout in an interview before the concert, which is well worth listening to on the replay of the livestream here, because he demostrates with examples. "Every register has a characteristic voice....moving from bass to tenor, and above, where the piano sounds similar to the harp". Mendelssohn worked so closely with the instrument that Bezuidenhout believes that it shaped his compositional processes, allowing him to experiment with what the instrument could offer. Hearing the Érard did make a diffrence. Textures were lighter and livelier, colours brighter and more nuanced. Faust's playing (a 1724 Stradivarius) picked up on the greater freedom and vivacity, which in turn extended to the orchestra. Altogether a unique experience, further proof that well-informed performance practice can be revelation. A vigorous Schumann Symphony No. 3 in E-flat major, Op. 97,(1850). Given the central position of song in Schumann's ouevre, his sensitivity to poetry and visual images and his very personal identification with the Rhine, it is wise not to underestimate the programmatic aspects of this symphony, even though this might not appeal to modern assumptions about what a symphony should be. Indeed, one could suggest that Schumann's Third inhabits a place from which we can consider his search for new forms of music theatre, evolving from oratorio Das Paradies und die Peri (Op 59, 1843) (please read more here) to Genoveva (1848) (read more here) an opera that is more Weber than Wagner. Is Schumann 3 music theatre in symphonic form ? Hearing it in the context of Weber and Mendelsson, who didn't write opera but wrote incidental music of genius, we can hear how the drama in this symphony affects interpretation. Birgt sein Innres Tod und Nacht.!" Gardiner and the LSO articulated the sparkling figures in the opening movement so they flowed , like a river, sunny but with darker undercurrents hinted at in the strong chords in the second theme, and the quieter passages in its wake. This coloured the second movement, suggesting the scherzo qualities behind the surface. There are echoes of folk dance, evoking the vigour of peasant life, but Schumann doesn't tarry. Bassoons, horns and trumpets called forth, the movement ending on an elusive note. The movement marked "Nicht schnell" was gracefully poised: as an intermezzo it connects the happiness of the Lebhaft movement with what is to come. The solemn pace of the fourth movement marked "Feierlich" may describe a ceremony the Schumanns witnessed in Cologne Cathedral, but its musical antecednts can be traced to other sources, such as the song "Im Rhein, im heiligen Strome" from Dichterliebe. The size of the cathedral, and the reverberations within it are suggested by the figures (trombones, trumpets, bassoons) which stretch out as if filling vast spaces. With Gardiner's clear textures the motif suggesting a cathedral organ was very distinct. Whateverv the movement may or may not mean, the muffled horns and brass fanfares evoke a power that is very far from the insouciant quasi-folk tunes that have gone before. Yet Schumann concludes not with gloom but with a reprise of the sunny Lebhaft, the emphatic chords even stronger than before, this time lit up by a glorious fanfare, the brass shining above the strings below. The very image of the Rhine surging past towering mountains. On Sunday 10th February, Gardiner and the LSO will do their last concert in this Barbican Schumann series, with Schumann's Symphony no 1 and the Manfred Overture (tickets here) To read about their first concert, with Schumann Symphony no 2 in C major op 61 (1847) and the Overture to Genoveva with Berlioz Les nuits d'été, please read HERE. Stéphanie D'Oustrac Sirènes, with Pascal Jourdan, songs by Berlioz, Liszt and Wagner, from Harmonia Mundi. After D'Oustrac's striking success as Cassandre in Berlioz Les Troyens (Please read more here), this will reach audiences less familiar with her core repertoire in the baroque and grand opéra. Berlioz's Les nuits d'été and La mort d’Ophélie, Wagner's Wesendonck Lieder and the Lieder of Franz Liszt are very well known, but the finesse of D'Oustrac's timbre lends a lucid gloss which makes them feel fresh and pure. D'Oustrac's Sirènes is also valuable because it demonstrates different approaches to the art of song for voice and piano. Berlioz's Les Nuits d'été op 7, to poems by Théophile Gautier, initially completed in 1841, was exactly contemporary with the works of Schumann's Liederjahre Later, Berlioz would expand the accompaniment for orchestra, effectively creating a new genre, orchestral art song, which would be developed later in the century by composers like Mahler and Hugo Wolf. Nonetheless, even in the original form for voice and piano, these songs are highly individual, quite distinct from the songs of Schumann and Mendelssohn. "I only wish people to know that [these works] exist", wrote Berlioz, "that they are not shoddy music . . . and that one must be a consummate musician and singer and pianist to give a faithful rendering of these little compositions, that they have nothing to do with the form and style of Schubert’s songs"
These mélodies of Berlioz are characterized by elegance and restraint. In "Villanelle", for example, the repeating patterns in the piano part might evoke Schubert, but there's an effervescent gaiety in them that is matched by graceful flow of the vocal line. In "Le spectre de la rose", the more languid pace allows the voice to curve sensuously. Berlioz clearly understood the carnal undertones in Gautier's poetry. The piano part is gentle, but persistent, like an embrace. When D'Oustrac's tone deepens with the phrase "Ô toi qui de ma mort fus cause", one can almost sense the perfume rising from the petals of the doomed rose. Although Les Nuits d'été is not a song cycle in the strictest sense of the term, recurring themes of love, and death and perpetual change give it a coherence which is particularly clear when it is performed with the intimate focus that a single singer and pianist can achieve. The three songs, "Sur les lagunes : Lamento", "Absence" and"Au cimetière: Clair de lune", form a unit, sombre with the stillness of the tomb, which is then broken by "L'île inconnue" where the ebullient high spirits of "Villanelle" return. Les Nuits d'été begins with promise of Spring and new life, and ends with adventure. "La voile enfle son aile, La brise va souffler. ", D'Oustrac breathing buoyancy into the word "souffler". Though Heine inspired Mendelssohn and Schumann with dreams of the East, Gautier and Berlioz are tapping into an even deeper vein in the French aesthetic : ideas of freedom, change and new frontiers in exotic settings. D'Oustrac and Jourdan extend Les Nuits d'été by following it with Berlioz's La mort d’Ophélie, from Tristia op 18, a setting of a ballade by Ernest Legouvé, who, like Berlioz himself, adapted Shakespeare for French theatre. Ophélie, who dies for love, floats upon a torrent, depicted in the rippling piano part. "Mais cette étrange mélodie passa rapide comme un son". Though the voice imitates a lament, this is not so much a song of mourning but a transformation through music. The stream carries "la pauvre insensée, Laissant à peine commencée Sa mélodieuse chanson." 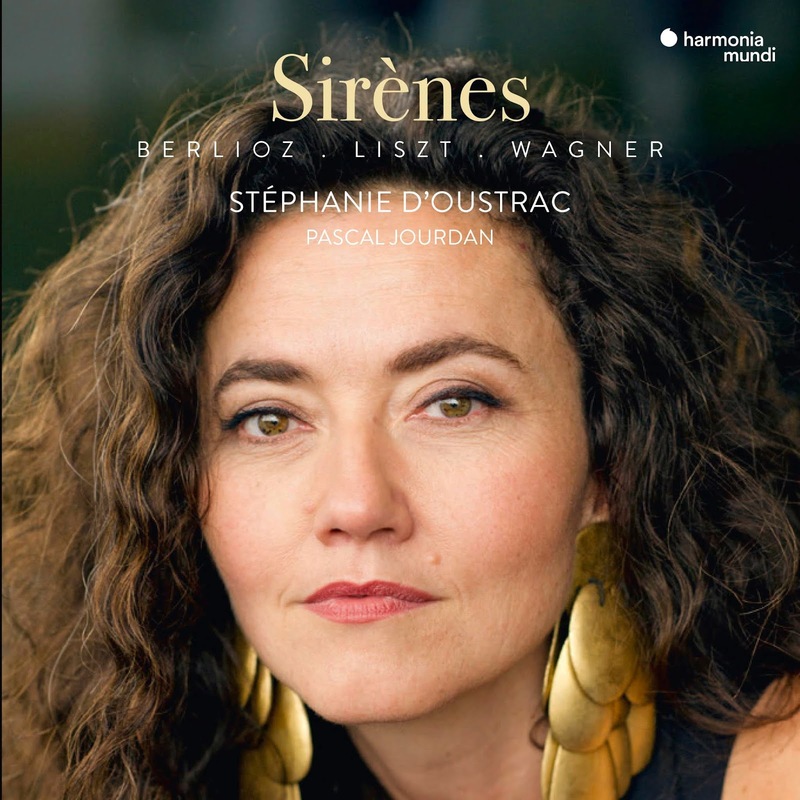 This recording is titled Sirènes, tying Berlioz's songs together with Richard Wagner's Wesendonck Lieder, both inspired, in part, by women who awoke strong emotions. Sirens, who attract but aren't necessarily positive, though they generated great art. With full orchestration, the Wesendonck Lieder showcase Wagnerian flamboyance. But, as with Les Nuits d'été , voice and piano versions concentrate focus on a more intimate scale. Even more pertinently, this highlights Wagner's place in the context of the Lieder of his time, and in relation to Schumann and Franz Liszt. "Der Engel" is gentle, and the dramatic declamation of "Stehe Still !" more human scale. D'Oustrac and Jourdan are particularly impressive in "Im Treibhaus", the sensitivity of their expression reflecting the intense inwardness that makes Lieder as powerful a genre as opera. One of the most iconic siren figures of 19th century Romanticism was the Loreley. This recording begins with one of the most beautiful Loreley songs of all, Liszts's Die Loreley S273/2, a setting of Heine's poem. D'Oustrac's silvery timbre illuminates the song, accentuating its mystery. She and Jourdan include another other Liszt setting of Heine, Im Rhein im schönen Strome, S272/3 and four settings of Goethe, of which Über allen Gipfeln ist Ruh S306/2 works particularly well with D'Oustrac's lucid style. "How important is ‘context’, in opera? Or, ‘symbol’? How does one balance the realism of a broad social milieu with the expressionistic intensity of an individual’s psychological torment and fracture? I’m not sure that Richard Jones’s new production of Leoš Janáček’s Kát’a Kabanová addresses, or solves, these questions, but it certainly made me reflect upon them."...... "Having stirred up so many questions, how fortunate Jones is to have American soprano Amanda Majeski to push them from our mind. In her house and role debut, Majeski gives such heartfelt commitment to the role of Kát’a that one worries how she can come back down from the emotional peaks and precipices that she scales in her performance". The Bergen Philharmonic Orchestra conducted by Klaus Mäkelä, livestreamed from Norway, with Beethoven Piano Concerto No. 5 "Emperor" with Javier Perianes, and Dmitri Shostakovich Symphony No. 10. The Bergeners are always worth listening to and you really can't get enough of Beethoven, but the surprise here was Klaus Mäkelä. Who? you might ask. I hadn't heard of him til this Bergen concert and was surprised to find out how good he is. But even more shocked to learn his age. Born in 1996, he's still only 22 yet he's Principal Guest Conductor at the Swedish Radio Symphony Orchestra and has just been appointed Chief and Artistic Advisor of the Oslo Philharmonic Orchestra. So have a listen to the link here. Weather conditions seem to have messed up the video, but the audio is clear. He conducted Shostakovich 10 at Gothenberg a few months ago, and has the measure of it. A very stylish, refined reading, which is OK. Shostakovich does not need to be craggy and violent. It's the music that counts, not the persona. From what I've been reading Mäkelä himself is pretty stylish, too - likes sharp suits asnd is clearly fashion-aware. That alone should enrage the kind of listeners who on principle are determined to hate anyone young, successful and non-butch macho, which says more about their own insecurities than about those whom they hate. This guy has potential. It's hard to tell from one concert but he seems to have the gloss of Nézet-Séguin, but greater depth and a willingess to take informed risks. Management is Harrison Parrott, who have a lot lined up for him in the near future.